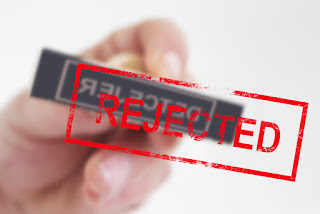 You are not the first voiceover actor or actress to be rejected. Those are the four most important messages that any voiceover professional can send to someone breaking into the industry, regarding rejection. Unfortunately, rejection is a big part of this line of work. You will not get every job that you audition for and it is very likely that you will suffer at least one span of time that seems to be wrought with rejections. As long as you recognize that you are not alone, and that all others in this line of work have experienced (or will experience) the same, you will be able to bounce back from it relatively unscathed. Do Not Hide From Your Emotions Rejection is a disappointment. You will feel hurt, sad, or angry. Don’t try to suppress the emotions. Instead, confront them and acknowledge the fact that they will pass. The sooner you address them, the faster you will be able to get past them. Praise Yourself for Taking the Chance You cannot be successful in life without taking chances. You took a risk and it didn’t work out as you had hoped… this time. But, the fact that you took the chance in the first place should make you feel good. Go forward knowing that it may not have panned out this time around, but it won’t always be that way. Do Something Nice For Yourself I’m not saying that you should go buy yourself something expensive every time you don’t get a job that you audition for. Nor would I recommend indulging yourself with calorie-ridden treats every time. However, it can be healthy to show yourself compassion. That might mean taking a break to go get a good cup of coffee, to read a book for a little while, or to go for a walk. That little bit of kindness paid to yourself can greatly decrease the time that it takes to get over the rejection. Take Notes Though it feels horrible in the moment, take in every detail that you can about the rejection that you receive. You can learn a lot from the losses that you suffer in life, and that certainly extends to the voiceover profession. So, if you were fortunate enough to receive a critique, make a point of using it to improve your skills. It may just work to your benefit at the next audition.